FINRA v. JAMS – What’s the Difference? There are two possible arbitration processes used to litigate disputes, FINRA or JAMS, based on who an advisory firm is registered with. If you have any type of investment account, and signed an arbitration clause, it is a requirement for you to litigate all disputes through arbitration versus the state or federal court system. 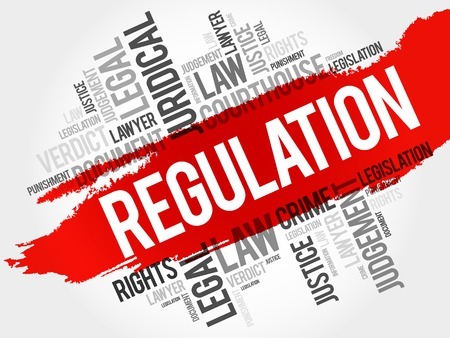 Most brokerage firms are registered with the Financial Industry Regulatory Authority (FINRA) and claims involving these members are arbitrated using FINRA. There are, however, some advisory firms that are not registered with FINRA and may include arbitration clauses in their agreements that provide for arbitration using JAMS (formerly known as Judicial Arbitration and Mediation Services Inc.). The following is a brief breakdown of the similarities and differences in these two processes. FINRA and JAMS both have rules that govern their process. FINRA tends to be more ‘by the book’ when it comes to procedures and following the rules, whereas JAMS is very flexible in that if all parties involved want to alter the rules prior to the arbitration, as long as all parties agree, JAMS will generally allow it. FINRA rules are more in depth and vast compared to JAMS which only has 34 rules listed. If a dispute between parties cannot be resolved by themselves, the arbitrator will step in and rule in favor of fairness. This is true in both FINRA and JAMS – the arbitrator has the final say. Whether it is FINRA or JAMS, everything must be in writing and served to the arbitrators as well as all parties involved in a reasonable amount of time. Every rule in both FINRA and JAMS, is designed in all fairness for each party involved. An Arbitrator is an independent person or body officially appointed to settle a dispute. FINRA’s arbitrators may have many different backgrounds. Anyone with a clean background check can apply to become an arbitrator. There is a possibility that one of the arbitrators on your claim is a taxi driver with no college education, or any investment experience at all, looking to make some extra money on the side. Although most FINRA arbitrators are attorneys and/or retired judges, the only real requirement is that you have 5 years work experience in any field and take FINRA’s training program. JAMS arbitrators are generally very experienced judges and lawyers. The only downside to having higher quality arbitrators is it typically comes with much higher associated fees. JAMS fee structure is very similar to FINRA’s. All parties involved will share the cost of the fees on a pro rata basis as stated in JAMS Rule 31(a). One major difference in JAMS, is that the parties can arrange a different pay structure as long as all parties involved agree to it, again JAMS will allow it. Another major difference is the cost of the arbitrators. In FINRA there is a one-time filing fee which is based on the amount you are attempting to recover which can be found in FINRA Rule 12902. Arbitrators fees are set per day per arbitrator, whereas JAMS allows the arbitrators to charge their own hourly fee. So, the cost of a JAMS arbitration is usually significantly higher than in FINRA. It is also stated in JAMS that if one party has paid more than their fair share, the arbitrator may award against the other party things such as fees, compensation and expenses as per JAMS Rule 31 (c). FINRA Rule 12902 (e) will also refund any fees or cost incurred under the code will be paid directly to the named parties, even if a non-party made a payment on behalf of the named parties. There are many differences between the two organizations when it comes to the exchange of information. Both organizations have different rules when it comes to discovery deadlines, and depositions. FINRA created what is known as the Discovery Guide Requests under Rule 12505-12511. These are a list of requests each party must give the opposing party in all cases. There are some circumstances where you can object however, the final verdict comes from the arbitrator or chairman. The Discovery Guide Request must be sent within 60 days of the date that the Answer to the Statement of Claim was filled. Also, both parties can send additional discovery requests. All parties must also respond to each request within 60 days of receipt of the request. In JAMS Rule 17, within 21 calendar days after the pleadings or notice of claims have been received both parties shall complete an initial exchange of relevant, non-privileged documents on which they rely in support of their positions, and names of individuals whom they may call as witnesses at the hearing. Both organizations require parties to supplement their information and documents if new information comes to light. Another form of discovery is collecting depositions. A deposition involves taking of sworn, out-of-court oral testimony of a witness that may be reduced to a written transcript for later use for discovery purposes. In FINRA under Rule 12510, depositions are strongly discouraged when it comes to arbitrations. However, upon a motion of a party, the panel may permit depositions, but only under very limited circumstances. JAMS Rule 17 (b) on the other hand, allows each party one deposition, and the ability to request more, which the arbitrator would approve or disapprove depending on necessity and reasoning. The arbitrator in JAMS can limit the depositions being taken (i.e. how many hours total, cap the cost, dates, locations, etc). As you saw in the timeline for discovery above, the JAMS timeline is much shorter than the FINRA timeline. To complete a FINRA claim that goes all the way to arbitration could take anywhere from 12 to 16 months. In JAMS, a claim could possibly be completed in as early as a few months, but could also last a few years, depending on the case. This all depends on the arbitrator that was selected and their perspective calendar openings, also if everything is agreed upon, like the locations, dates, rules etc. Every time something is not agreed upon, the parties have it in writing and contact the arbitrator. This all ends up taking longer, then if it was all agreed collectively. A benefit with JAMS is the parties can dictate a timeline which is more rapid than a standard timeline as long as both parties agree on it, and there is availability in the calendar. Another example of the two organizations that differ in regards to timelines is the filing of the answer. FINRA Rule 10314(b) allows the Respondent to file the answer within 45 days of the receipt of the Statement of Claim. JAMS Rule 9(c) only allows 14 calendar days of the notice of claim to file and answer and/or counterclaim. If filed, Claimant receives 14 days to submit a response to any counterclaim. JAMS states “Any claim or counterclaim to which no response has been served will be deemed denied” in Rule 9 (e). Locations for associated organizations are all over the country. JAMS and FINRA have their locations listed and depicted on a map of the US on their websites. Similarly, they also have locations internationally. FINRA tends to have the hearing location closest to the client versus the broker-dealer. JAMS at the same time, takes everyone’s location into consideration, even the arbitrator, and selects a location, unless the parties agree to a location mutually. If you feel you have been a victim of securities fraud, the attorneys at The White Law Group may be able to help you recover your investment losses. Our offices are located in Chicago, IL and Vero Beach, FL. Call toll free (888) 637-5510 for a free, no obligation consultation. For more information, please visit us at www.whitesecuritieslaw.com. » Blog » FINRA v. JAMS – What’s the Difference?